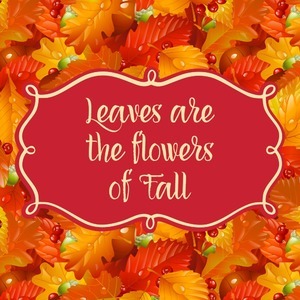 This design of fall leaves is absolutely stunning; the colors are incredible. We love that there are fall berries and acorns mixed in with the leaves. The dew water droplets on the leaves look so realistic. You can imagine and hear the crunch of the leaves as you walk on them. 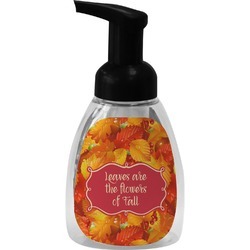 We chose the curlz label with "Leaves are the flower of Fall" for our text / personalization.